Chelsea 0-0 Leicester - More points dropped and no sign of the 3-4-3 formation either. Us: Still no Willian or Pesto. (F*ck off autospell) I was gutted. Why are we not grabbing this by the scruff of the neck? 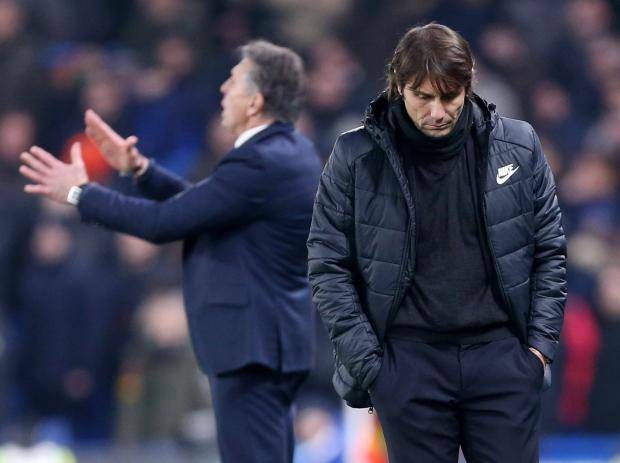 How can those two be tired when Conte benches them all of the time? To me it's like we're setting out in every game not to lose. Which doesn't automatically mean we are setting out to win. I'm debating whether or not to call him Italian Pulis until he changes this unimaginative set up and reemploys his testicles. Them: Vardy is fit. Joy. We can watch Albert Steptoe's lovechild try and con the referee for ninety minutes. I feared for us today after two toothless displays, but I'm a glass half empty kind of person. With good reason, it turns out. We almost found a way through after one minute but couldn't get a decent shot off. Then it was Leicester doing the pressing, coming close two or three times. 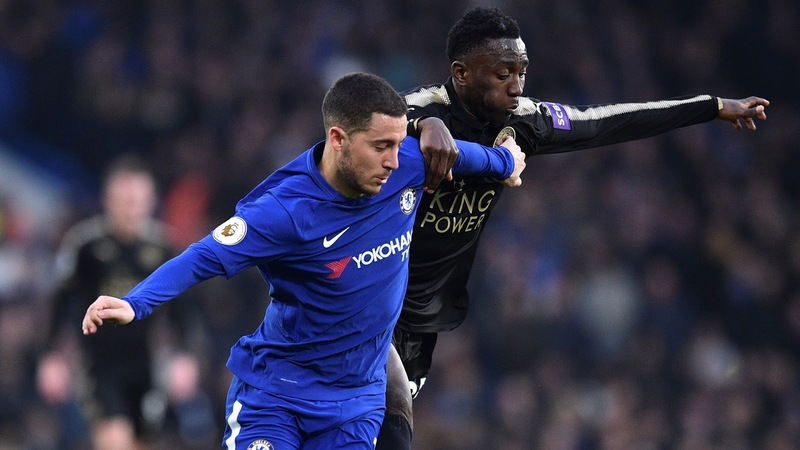 An outstanding break by Hazard, who held the all up all the way into the box on his own to lay it off for a Moses cross, looked promising, but no cigar. Then we were lucky not to be behind after a save from a Courtois on 11 minutes. So far we had been rather ponderous on the ball, and had already conceded possession sloppily with balls almost as ill-judged as Mahrez's platinum blond nightmare hair. They looked capable of carving through our defence, though whenever we broke we looked threatening too. That is until the last ball happened and there weren't enough people in the box. Ever. Dare I say we looked more like the away side, waiting to sting them on the break and stay in it whilst they built up a well organised head of steam. We'd been more productive for what we had of the ball. But 40% of the possession in the first 20 minutes at home against a competent but not shiny Leicester side is pretty woeful. They hadn't undone us once when we were heading towards the goal, we'd done it ourselves. Which was really f*cking annoying. If the play wasn't entertaining, the joint shouts of "Who came third in a two horse race, T*ttenham f*cking H*tspur" were for a little while at least. Then the away fans started singing "Just like the library." As if they've set foot in one. Do they have libraries that far north? Who knew. 26 minutes in and the whole of the Shed Upper had surmised that this was all wrong. It was like a nappy sh*tting equivalent of the last night at the proms behind me. The only time we looked remotely like doing anything was when Hazard is running at them. And he can't pass the ball on to himself. 30 minutes and Cahill was down. Off he went for Christensen. I won't repeat some of the bullsh*t I heard celebrating a Chelsea player going off injured. W*nkers. Or some of the crap begging the referee to send Bakayoko off today. I will repeat this though: "What game are you watching Conte, this one or your f*cking mum's game?" Because it gives you an indication of the level of nonsense intellect you're dealing with with some of these so-called fans. At the restart we suddenly got out of first gear. For about fifteen seconds. We'd been screaming at Cesc to shoot and he finally did on 41. Tipped over. We were in again on 42 but Moses got sidetracked doing step-overs and forgot to pass the ball. Then he lost it. We did at least appear to have recovered the art of passing the ball to people in a blue shirt. Sort of. On half and hour I would have said that Conte needed to make half time changes or else. I was 100% certain that he wouldn't. After we picked it up just before the break, I felt he at least needed to go into the dressing room and kick them severely up the a*se. We've quite possibly broken another striker. 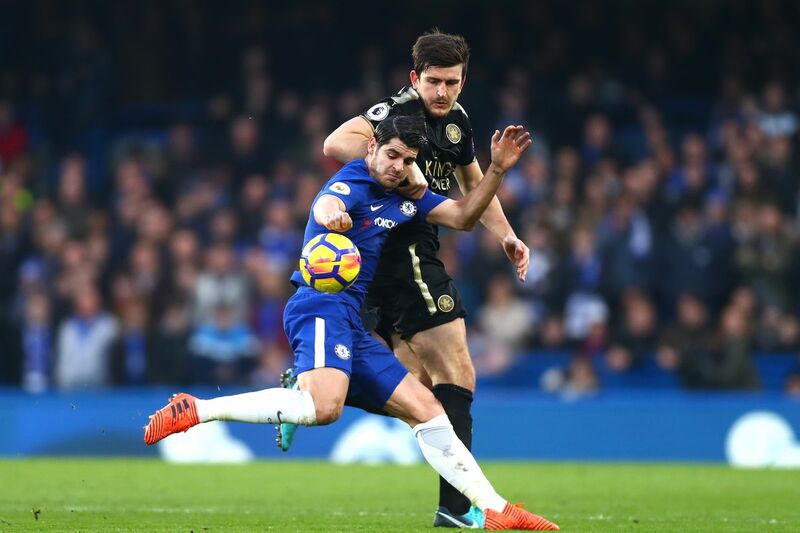 Morata going down for a free kick on 45 minutes was his biggest contribution so far. We achieved nothing from it. By 48 minutes we were no better than during the majority of the first half. It wasn't just the nappy sh*tters getting angry now; there was a loud chorus of Willian's song in the Shed by way of a not subtle hint for our manager. Willy was standing on the sideline mesmerised in between stretches by how bad we were at this point. Mahrez had a deflected shot that almost put them ahead, before Conte finally made a double substitution. Willian and Pesto on for Fabregas and Hazard. Lo and behold, change of formation and we suddenly looked like a football team. All this forward motion, Willian like a little Duracell bunny possessed, players fighting for every ball. (Though still to the tune of nappy sh*tters declaring that he is a pile of sh*t) We even got in their box! HALLE-F*CKING-LUJAH. Now just to fashion a shot on target in the next half an hour. Refwatch: Better the devil you can see than the one sitting thirty miles away watching it on TV and sticking their oar in. Right? Mike Jones - so ask me again after the one massive brain fart he always has had occurred and I see if it goes our way. He does have the distinction of possible being the most attractive referee. But it's a low bar. As in, almost touching the floor. Good opening booking, often don't see those given but the foul on Kante was cynical enough to warrant it. I despise this hacking down of players on the break and think it should be a mandatory yellow. Jones put in a block for us just after half time too. The brain fart came on 55, when Mahrez went down in the box and he didn't award Leicester a penalty. Thanks Mike, we need all the help we can get. Because in real time right in front of me that looked like it probably was a valid claim. Then on 67 was there another? From miles away it looked like Moses and Chillwell got to the ball at the same time. I'm too bereft to watch it back. I've suffered enough. A red card was actually the worst thing that could have happened.l as far as our bid to win it went. Because now Leicester would largely stop coming out and just hold on for the draw. For the first time all afternoon we were having the larger share of possession. On 71 minutes Kante fired it at Schmeichel, who spilled the ball but managed to grab it again. Git. With Leicester determined to hold on for a well deserved point, it just felt like too little, too late as the minutes ticked by. They were not out of it by any means and playing the time wasting game when they could. We look so like Arsenal sometimes I could cry. For the love of god stop fannying about with it and have a shot. On 77 Bakayoko found the ball dropping to him, and he hit it calmly but it was always rising. The one he had a minute later was not so much something to write home about. In fact it was hilarious. (Cue more effluence behind me) At least he's in the right place at the right time, even if he can't hit a barn door. Corner. 83 minutes. This was going to be our moment. Till we played it short. Has Morata even had a shot on target since he announced his wife was pregnant? This is a genuine question. I sense a conspiracy. Four paltry minutes of added time. A free kick on the edge of the box and it was sh*t or bust. Willian and Alonso hovering. Nope. Pinball in the box. One last shot. Almost hit the corner flag. Even with Mike Jones on our side we could have continued playing till next Saturday and still not scored a f*cking goal. 0-0 and Leicester fans celebrating like they've won. Idiots. What a load of b*llocks. So: West f*cking Ham managed to score four goals today. And they are the league's resident morons. We have never before had three 0-0 draws in a row. However this is not necessarily an unexpected outcome when you only play half an hour of football. Never have we kept three clean sheets in a row and been so depressed. We set up like we were afraid of Leicester, which was annoying, but after 14 games in 46 days most of the players just look wasted. There was a moment today when the prospect of Andy Carroll almost started to look enticing. Almost. Conte says the system didn't make a difference. I disagree. He isn't doing his team any favours. What must Hazard think when he's left isolated by a sh*t layout and unable to do what he is good at because he hasn't got the right people around him? What must Willian and Pesto think when they sit there for sixty minutes watching a game crying out for one/both of them? At least two of these three need to start. Especially at home. Otherwise we are idiots. We’ve predicted a 0-0 penalty shoot out against Norwich and the referee then eventually just flipping a f*cking coin for it just so everyone gets to go home. And I'm going to leave you with this thought: At this point we have about 38 days until we have to play United and City, and Uefalona in the space of eleven days. But that said, it’s not like we’ve lost, however tedious our viewing fare has been this week. Two of these draws were against another Champions League contender and a Leicester side that played well. Let’s not lose the plot. Some of the behaviour from people who claim to support the club is getting unpalatable for the rest of us, considering we haven’t yet been eliminated from any competition and aren’t exactly slumming it. Yes, you’ve paid to be there too and you may be entitled to your opinion, but if that opinion is to abuse everyone in a Chelsea shirt, hand the ticket over to someone who will gladly reimburse you and turn up to support the team. There is a rumour that Courtois was hit after the game in leaving the ground. He was not. But I'd argue that laying a hand on any player no matter what cause you think you have is not acceptable. I need more gin, and players, manager and fans alike need to get a grip, get their sh*t together after this week and get ready for Norwich. This match report was written by Alex Churchill from her fantastic Chelsea Blog - A Girl Who Likes Balls.